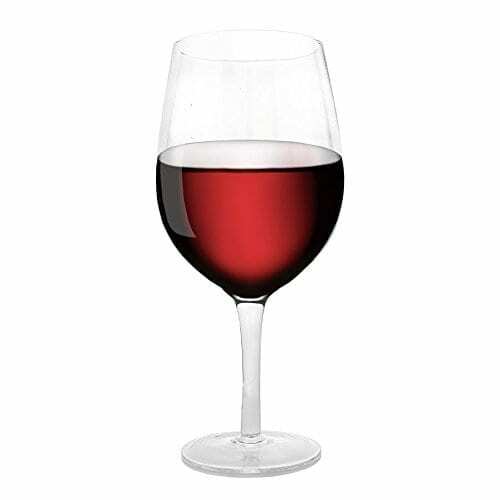 Join GHHS Animal Advocate Members at SIP on Thursday April 11th from 5pm until 7pm to learn more about our Animal Advocate Program. 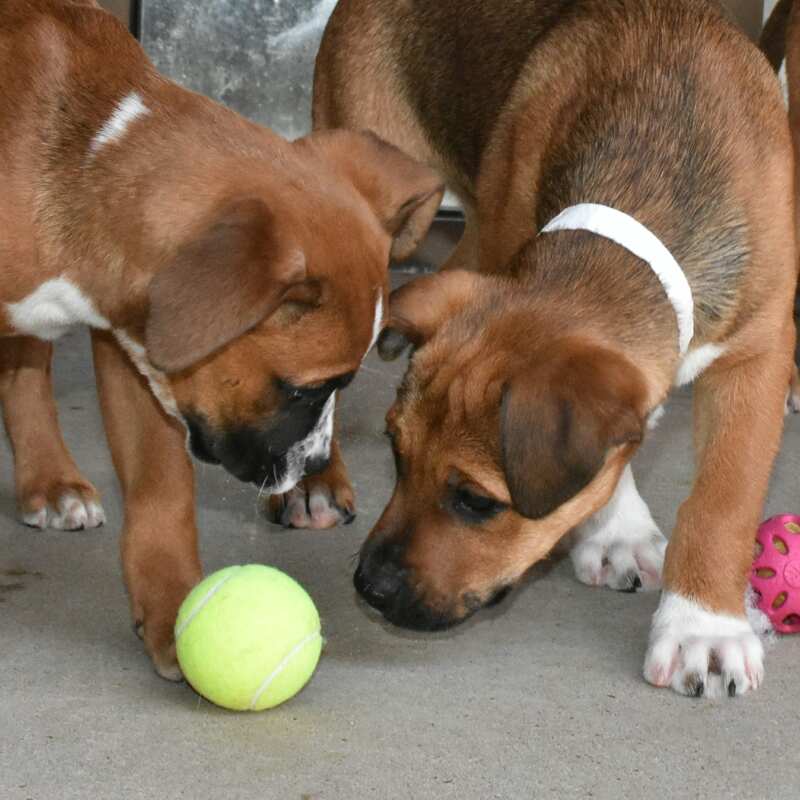 We will have some of our adoptable dogs out front (weather permitting.) Enjoy the atmosphere at SIP and take the opportunity to become an Animal Advocate. 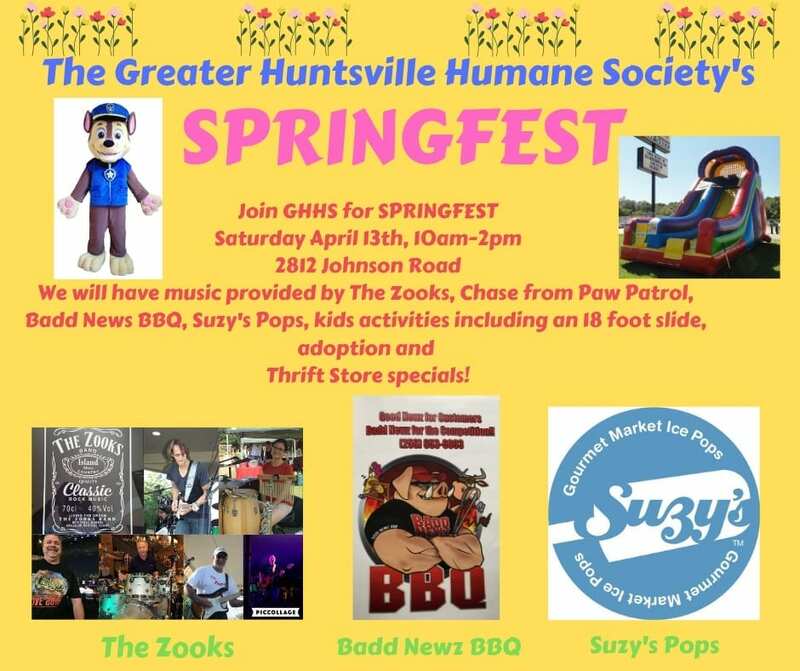 Join GHHS for Springfest on Saturday April 13th from 10am until 2pm. Chase from Paw Patrol will be here and the Zooks will provide music for the day. We will have the Badd Newz BBQ food truck and Suzy’s Pops on site in addition to an 18 foot inflatable slide and kids crafts. The entire GHHS Thrift Store will be 1/2 off and we will also have adoption specials. GHHS will host our monthly Pet Wellness Clinic on Saturday, April 13th from 10am until 2pm. Rocket City Mobile Vet will be on site (2812 Johnson Road) to provide discounted services for pet owners with a household income below $35,000. ID and proof of household income are required. A $12 examination is required for each pet. For more info, click here. GHHS will be at the Open Bottle with adoptable dogs on Tuesday April 23rd from 5pm until 7pm. Join us and our furry friends to learn more about becoming an Animal Advocate and supporting the animals at GHHS. Join us for a delightful dinner at Meadow Creek Farm, a gorgeous venue to celebrate an incredible 50 years of impact. This event includes dinner, drinks, and live music. 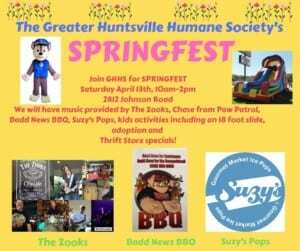 All proceeds will benefit the animals of the Greater Huntsville Humane Society. To purchase tickets to this exclusive event, click here. To receive occasional updates about GHHS and our digital newsletter, please complete the form below.